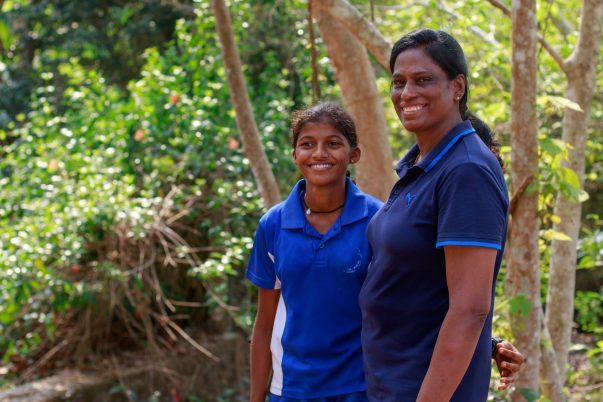 Meet Athulya- an 16-year-old youngster from Wayanad. She is a sprinter and her event is the 800m dash. Athulya comes from a family of five. Her father works as a small time mechanic, handling electronic items. His daily income ranges from Rs 500 to Rs 1000 on a good day. Her mother is a housewife. Athulya’s two siblings are not into sports. Her twin brother is studying in 11th now, and her sister is in her third year polytechnic. Athulya has been running since early nursery- practically all her life! She was selected for the prestigious PT Usha School in 2014 after tryouts. Like any star athlete, Athulya follows a disciplined routine. She has to report for morning practice at 7:30 AM, until 9 AM. She then has her classes at school. At 4 PM, she is back on the track and practices till 6 PM. A young and very promising athlete, Athulya recently participated in the State Junior Meet at Ernakulam, where she came in the second runner up position. We are fundraising to help Athulya with her training for the next six months. Athulya needs about 20,000 INR every month to maintain her training. Sports as a career option is expensive in India. Players from a weak economic background find it hard to support their passion, despite immense talent. This talent eventually falls by the wayside. Your contribution can enable Athulya to make a name for India on an international platform. Support Athulya in this endeavor!